Geek culture really has a thing for nuns. Specifically, Christian (mostly Roman Catholic) women who have made vows to live in community with one another in order to pray and do good works while living a chaste, simple lifestyle. But geek culture doesn’t like nuns for the right reasons. Whenever nuns pop up in geek media, they almost always function as some kind of trope-filled plot device. They look more like the writer’s idea of what a nun is, and less like real nuns. 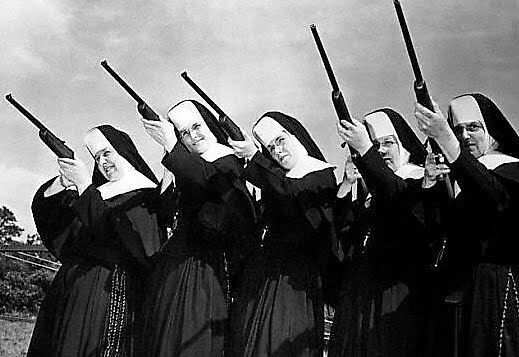 If nuns were depicted accurately, they’d be a great source for feminist characters and plotlines. Contributors to this blog have generally been pretty excited about the BBC America show Orphan Black, which returns for its second season this month. 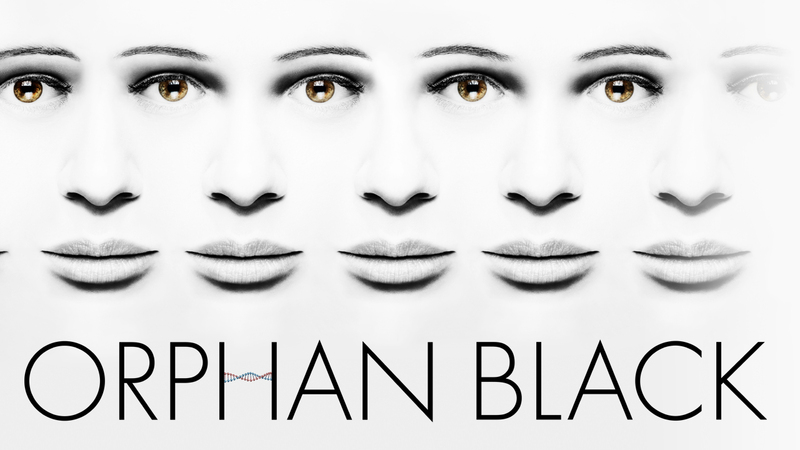 In case you’ve been hiding under a rock, Orphan Black follows the lives of several human clones, all born under mysterious circumstances and secretly monitored their whole lives for the sake of science—until they become aware and start fighting back. 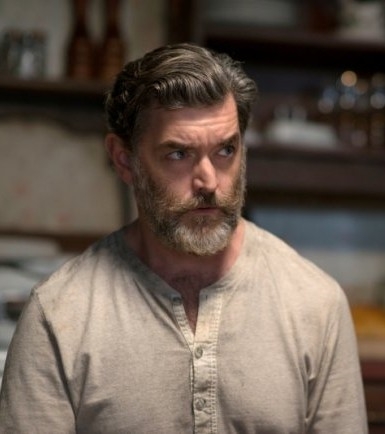 I loved the first season just as other writers here did, but I think the religious extremist and antagonist, Helena, needs some deeper exploration. Spoilers below. Belief is a funny thing. When most people talk about belief, they’re usually taking about believing in things that are intangible; things like religion, a cause, or a greater good. Belief is often closely tied to faith. It’s a bit strange to talk about belief in terms of something we can touch or measure, because that kind of belief requires a simple glance over the evidence staring us in the face. It doesn’t really take any effort on our part to agree that something is true when a scientist or other expert has done all the work for us. The more interesting kind of belief requires some component of faith. A large part of faith is believing in something greater than oneself. This sort of belief is crucial to some of the most popular stories in fantasy and science fiction, from Peter Pan to Doctor Who to Serenity to The Hunger Games. It’s this kind of faith in something greater than oneself that gives true power to the characters in these works. Spoilers for all three Hunger Games books, Doctor Who, and Serenity below. 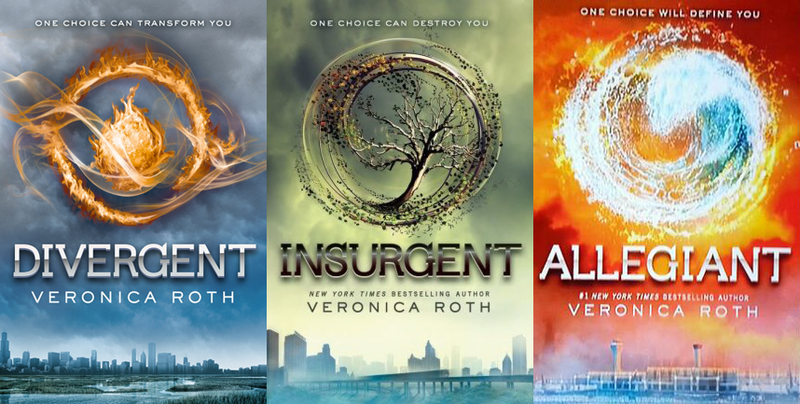 Since the Divergent movie came out this weekend (Luce reviewed the trailer here), I figured now would be a good time to discuss the trilogy’s religious implications. And no, I’m not going to go on about how the main character Tris is a Christ figure, because once again, that’s too obvious. But it’s well-known that Divergent trilogy author Veronica Roth is a Christian, and her beliefs come through in her books more clearly than they do for a lot of other authors. Specifically, while reading the second book Insurgent, I found a lot of references that sounded Protestant to me. Let’s take a look at how the whole trilogy holds up against a specific Protestant framework, the Five Points of Calvinism. Spoilers for the entire Divergent trilogy after the jump. It’s that time of year again—that time when people put up trees in their houses, visit relatives we don’t plan on seeing for at least another year, and gather ’round the television for the plethora of Christmas specials invading our regularly scheduled programming. 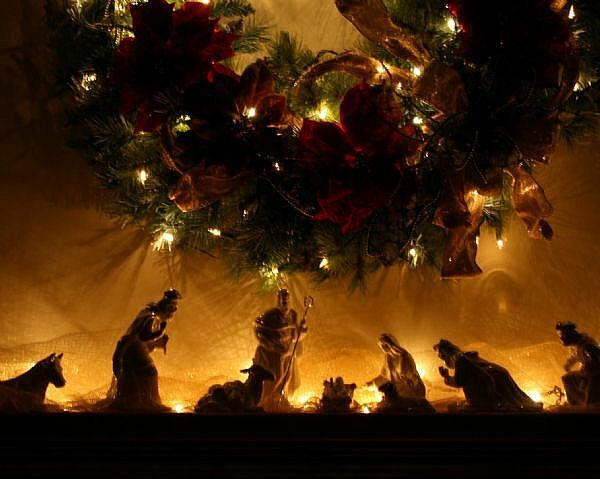 Most of these specials have a common theme: the true meaning of Christmas. But the thing is, we can’t seem to agree on what that meaning really is. Earlier this month, the Catholic Church celebrated the Memorial feast of the guardian angels—it’s like a holiday to celebrate that spiffy angelic being given the job of poking you in the direction of Heaven. In honor of it, my mom planned a lesson for her fifth grade Sunday School class about what the Catholic Church thinks about angels, particularly guardian angels. Afterward, she told me that her students had all kinds of weird ideas about who and what angels are, none of which were really drawn from our own faith tradition at all. 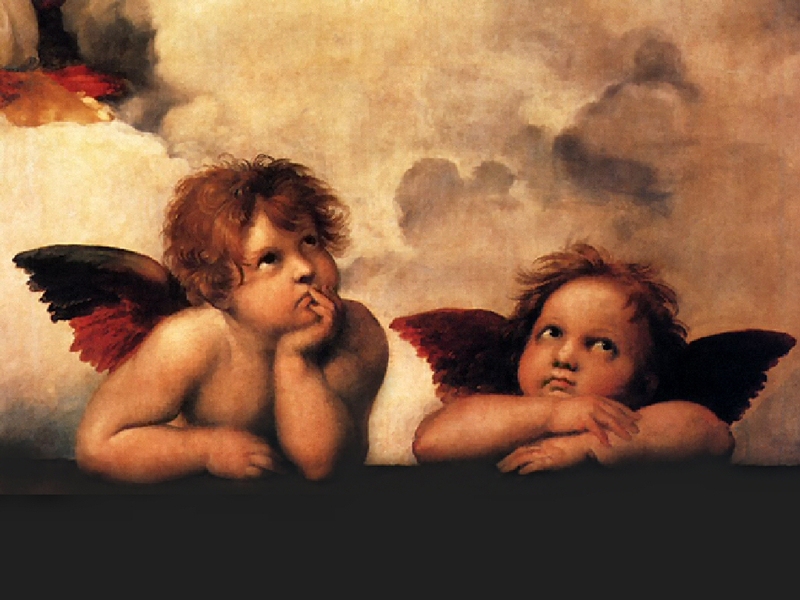 You see, most people in America tend to think of angels as cute baby cupids from old, beautiful art, and as beautiful people who fly around, sit on clouds, and play the harp. They also tend to think that nice people turn into angels when they die, so that they can watch over us. But while those first two ideas clearly come from artistic representations of angels throughout history, the idea that humans turn into angels when they die really doesn’t have much religious basis… in Christianity, Judaism, or Islam. In the big three Abrahamic religions, angels (and demons, also known as fallen angels) are completely separate created beings. 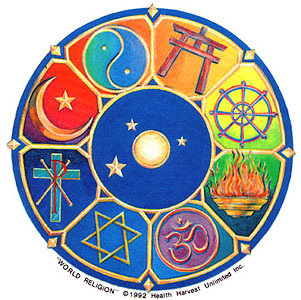 To any of these religions, it’s a bit like saying a dog turns into a human when it dies—it just doesn’t work in any of our cosmologies. And while it’s a nice, comforting idea that angels are beautiful, harp-playing souls of the much-loved departed, at the end of the day it’s a rather boring concept. Comforting, yes, but boring. But why must we stop at boring? Even if we don’t want to get our ideas of angels directly from religious faith, there are plenty of much more interesting examples of angels in pop culture.